Spanning the Usses River ravine between Geneva and Annecy, the Caille Bridges (les ponts de la Caille) are two parallel structures that have come to symbolize their alpine region. 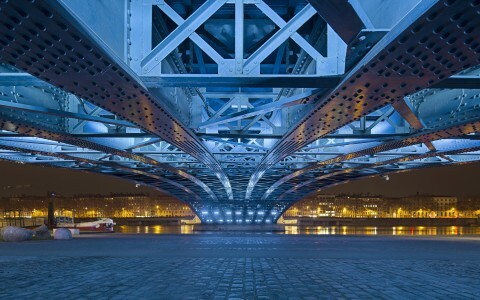 As part of an extensive rejuvenation, lighting designers Les Éclairagistes Associés designers were engaged to give the well-known bridges an elegant, understated nighttime presence. 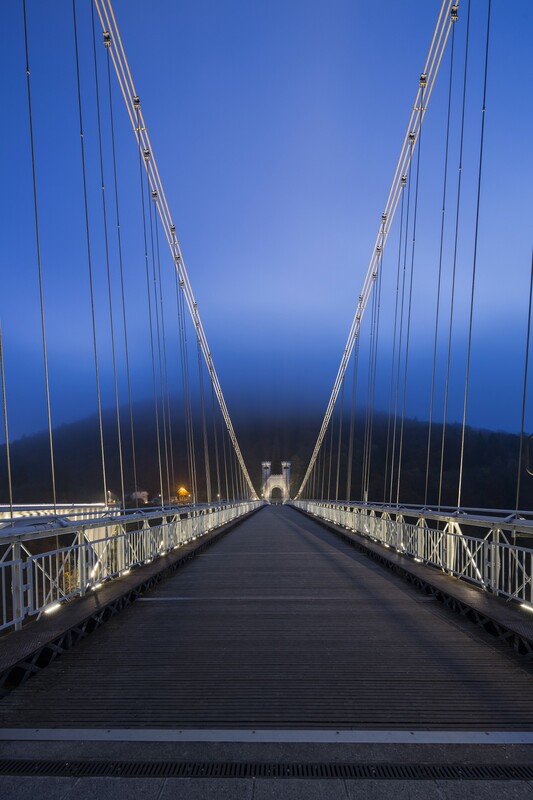 For the historic Charles Albert suspension bridge, Les Eclairagistes Associés chose 1-foot Lumenfacade luminaires in a warm, 3000K color temperature. Installed along the length of the pedestrian bridge below the railing, the luminaires use 10x10 and 10x60 beam angles to illuminate the top of the bridge’s cables. 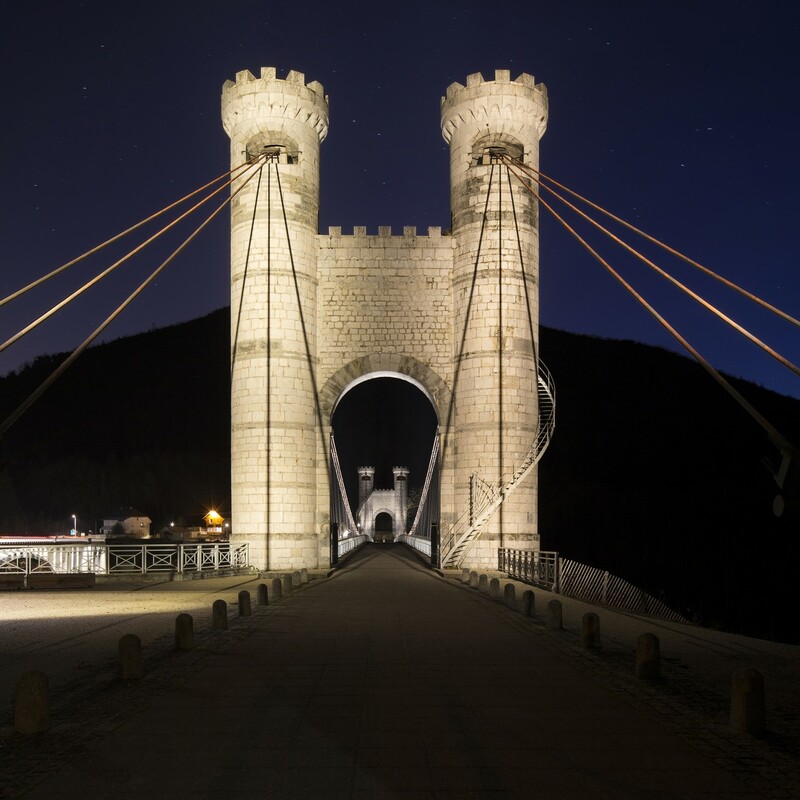 Les Eclairagistes Associés then used Lumenbeam Medium luminaires in 2700K to floodlight the bridge’s towers, accenting architectural details and making the structures visible from a distance. Les Éclairagistes Associés selected Lumenfacade luminiares in a warm 3000K. The luminaires are installed underneath the bridge and aimed downward to emphasize the structure’s unreinforced concrete and its arch. The light sources being hidden from view give the Caille Bridges a subtle, elegant nighttime presence. 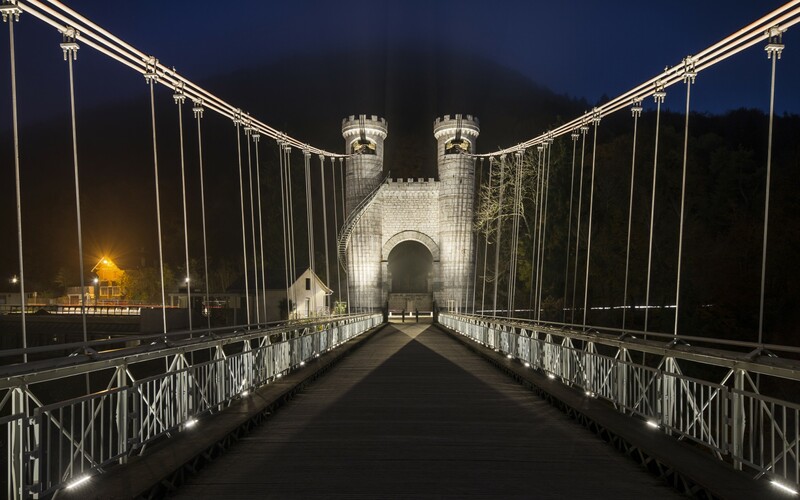 As part of a rejuvenation of the Caille Bridges (Ponts de la Caille) in Cruseilles, France, lighting designers Les Eclairagistes Associés used Lumenbeam and Lumenfacade luminaires to give the well-known structures an elegant, understated, nighttime presence. 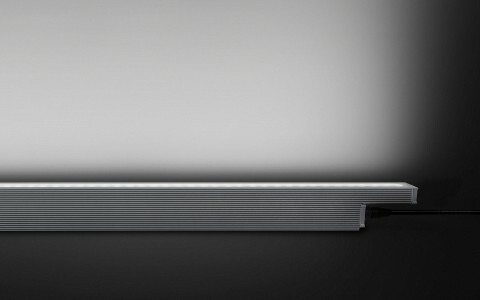 In our view, the Lumenpulse luminaires were the only fixtures suitable for this type of application, as their fastening systems are guaranteed to be resistant to the vibrations of bridge. Spanning the Usses River ravine between Geneva and Annecy, the Caille Bridges (les ponts de la Caille) are two parallel structures that have come to symbolize their alpine region. 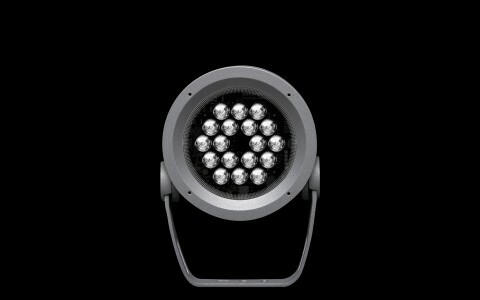 As part of an extensive rejuvenation, lighting designers Les Eclairagistes Associés designers were engaged to give the well-known bridges an elegant, understated nighttime presence. "The objectives were to find a simple, economically and ecologically efficient solution, using only one type of fixture on these two legendary structures," said Joseph Frey, Principal at Les Eclairagistes Associés. 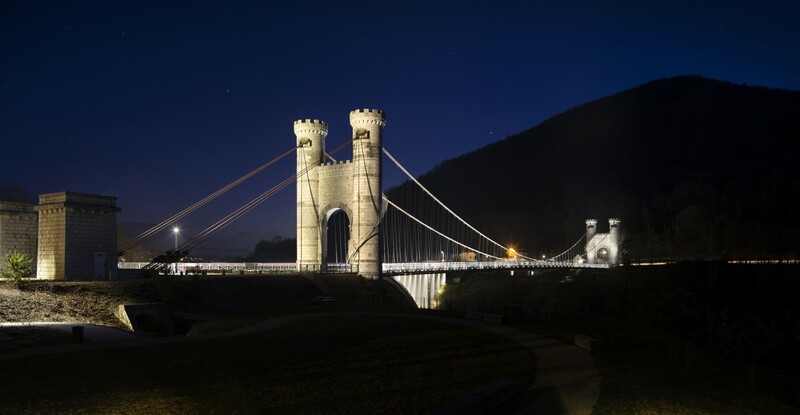 For the historic Charles Albert suspension bridge, Les Eclairagistes Associés chose 1-foot Lumenfacade luminaires in a warm, 3000K color temperature. Installed along the length of the pedestrian bridge below the railing, the luminaires use 10x10 and 10x60 beam angles to illuminate the top of the bridge's cables. 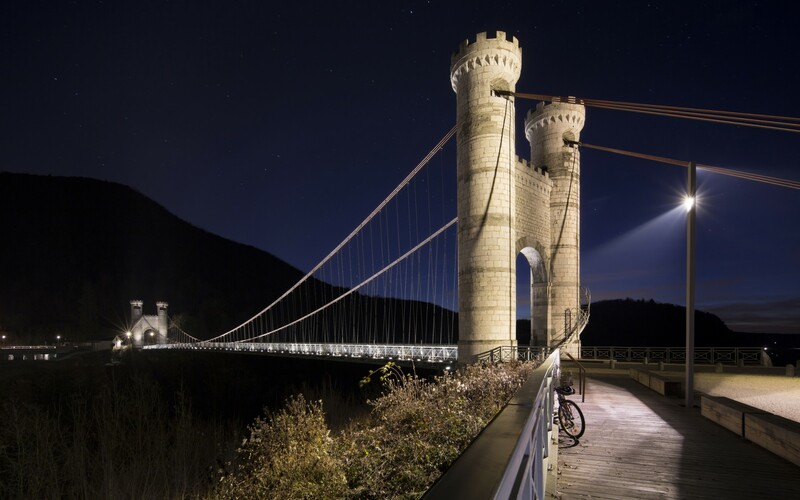 Les Eclairagistes Associés then used Lumenbeam Medium luminaires in 2700K to floodlight the bridge's towers, accenting architectural details and making the structures visible from a distance. 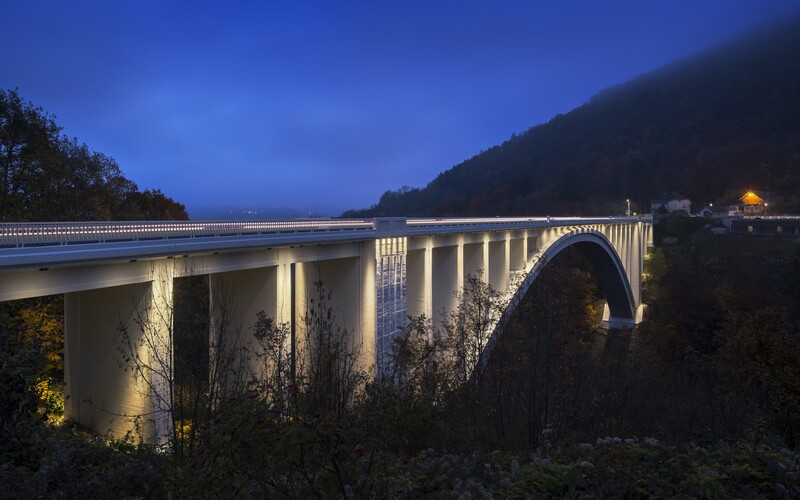 For the adjacent Caquot Bridge, Europe's second highest arch bridge, Les Eclairagistes Associés again selected Lumenfacade luminiares in a warm 3000K. The luminaires are this time installed underneath the bridge and aimed downward to emphasize the structure's unreinforced concrete and its arch. 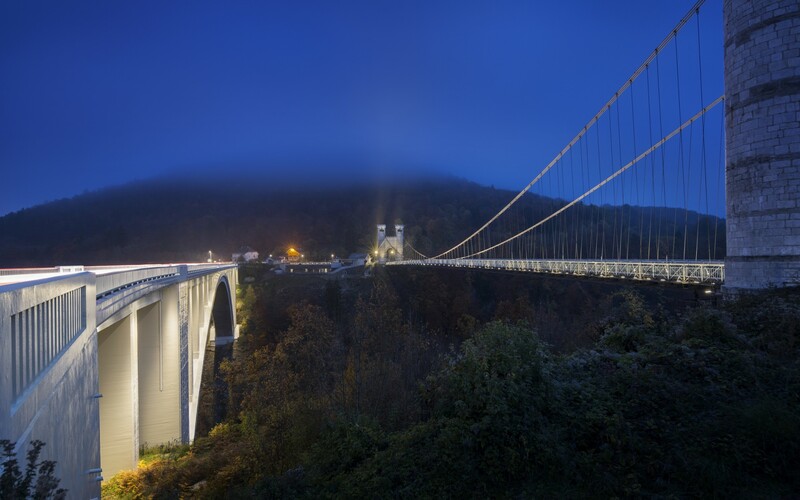 "The approach was to illuminate the suspension bridge's cables and arched bridge from the deck towards its foundations. 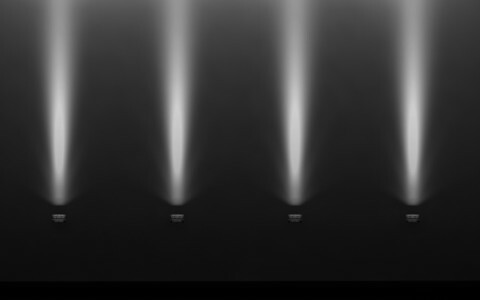 The idea was to create this vision of one single line of light, which would almost merge the two bridges together into one suspended, arched structure," Frey said. 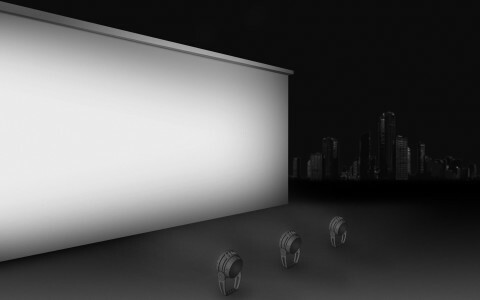 "In our view, the Lumenpulse luminaires were the only fixtures suitable for this type of application, as their fastening systems are guaranteed to be resistant to the vibrations of bridge." The result gives the Caille Bridges a subtle, elegant nighttime presence, while still keeping the light sources hidden from view.